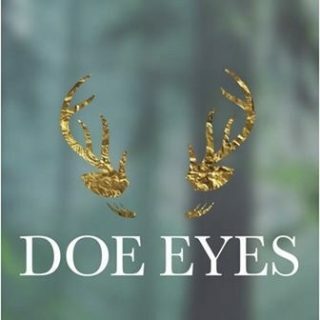 Last month I came across a hidden gem called “Doe Eyes” out in Malahide. 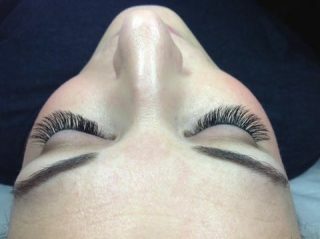 “Doe Eyes” is a boutique eyelash and eyebrow salon specialising in luxury Mink Eyelashes! The beautiful salon in Kinsealy, Malahide, Dublin 13 is their second salon, the original being in Delgany, Co. Wicklow. I’m so particular when it comes to lashes as I think they can really close the eye and even change the eye shape if they are too black and heavy never mind the potential for damage to your own lashes, but when I walked in to Doe Eyes I knew straight away I was in good hands!! The place had such a luxurious feeling… There were beautiful beds to sink into while having your treatment and stunning expensive drapes. There was lovely music playing and I instantly felt calm and relaxed. The absolutely gorgeous Lisa & Jessica were looking after me and they were so much fun! We had such a laugh yet they were SO professional. Jessica assured me that the lashes are not damaging if the right weight product & isolation are used. I was thrilled to hear that in “Doe Eyes” they really care about the health of the lashes as well as the look of them. My treatments took 2 hours… I got Mink Lashes, Brow tint and wax and Shellac. It was a super relaxing experience, and I was SO happy with the results!! The lashes looked perfect, didn’t change my eye shape and they didn’t look too heavy. They were a just stunning set of lashes and my brows were probably the nicest they have ever looked. So to all my Brides out there who are constantly asking me about lashes, I’ve found the perfect place for a beautiful bridal lash for your big day!